Correct me if Wikipedia's wrong, but England and Wales are the same jurisdiction? Neil Guthrie DPhil English (Oxon), LLB (Toronto). Guthrie’s Guide to Better Legal Writing (2017). p. 95. Good catch: I just merged and made england a synonym for england-and-wales. Actually, this may not be a good catch. 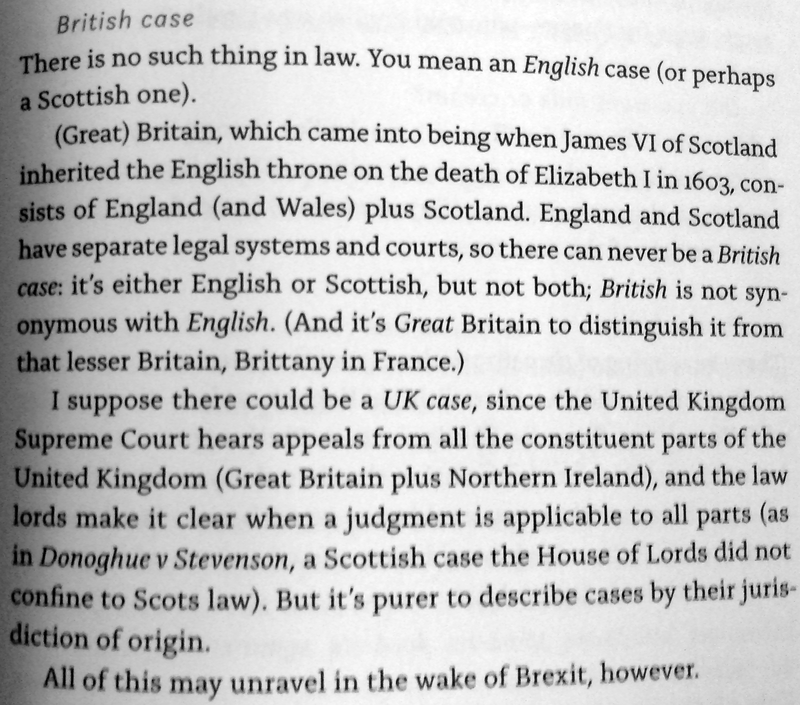 There is law which is different between England and Wales (although most criminal law is indeed "England & Wales"). There are currently 34 Acts of the National Assembly for Wales which apply only to Wales. There are more than 200 pieces of legislation which apply exclusively to England, most of which admittedly are Measures for the Church of England. There should really be three tags, England & Wales, England, and Wales. What is the policy on self-links and commercial links in answers?